We accept measurements in inches, centimeters and millimeters, so use the measurement style with which you are most comfortable. All of our enclosure designs add approximately 1/16″ in height and width to provide a little wiggle room inside the box. 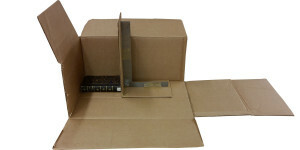 This helps prevent abrasion from taking the item in and out of its enclosure. Since all of our enclosures are custom made to fit each individual item, we recommend measuring as closely as possible to its actual dimensions. An item that is too small for its enclosure can become damaged by rattling around! That said, err on the side of too loose if you are concerned about your measurements. An item that is too big for its enclosure won’t fit at all! Though we can make enclosures for almost anything, the most common item we provide boxes for are books. The following tutorial will use books as its example. To make an enclosure, we must know the height, the width, and the depth of the book. The height is measured from the top to the bottom of the book. 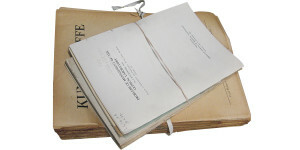 Width is measured from the spine to the fore-edge. 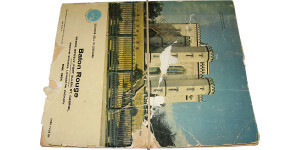 Depth is measured from the front cover to the back cover. 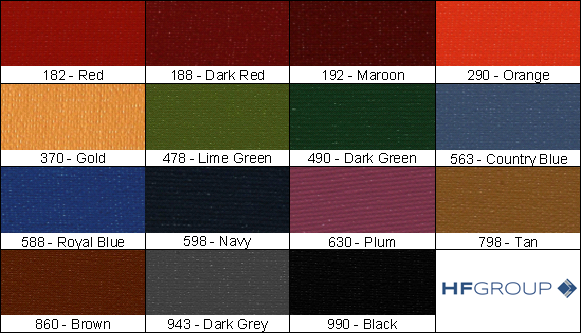 If you are re-housing a book that has already received protective measures like rubber bands, wrappers or ties, you will need to determine if you want to keep those materials on the book inside its new enclosure. If they will be staying with the book, measure the book with them in place. If they will be removed before re-housing, be sure to remove them during measuring as well. We highly recommend removing all rubber bands. They can cause a lot of damage to fragile items, and they are prone to drying out and sticking to the materials they hold. Acidic wrappers should also be removed. 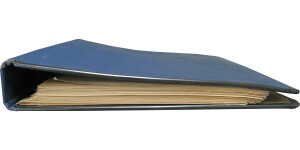 Books are not perfectly cuboid, and as they age they tend to warp and loosen their bindings. 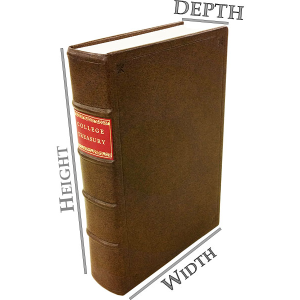 When measuring, take care to measure the largest part of the book. Do your best to make sure the book is settled correctly. Loose boards should be set into their joints. Do your best to make sure the book is settled correctly. Loose boards should be set into their joints. The covers should be aligned. The text block should be gently eased into the optimal position. 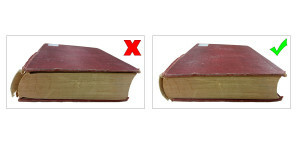 Thicker books especially can shift and be measured as too wide if the text block is not manipulated into the best resting position. 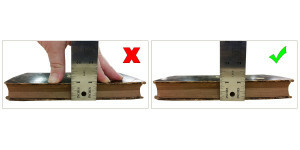 When measuring thickness, don’t squeeze the book tightly while measuring. Let the book rest as it will rest in the box. One of the best ways to find the highest point is to put the item you are measuring up against two 90° angles. If measuring is an ongoing project for you, consider investing in one of the measuring boxes available from a number of library supply vendors. If not, you can make your own DIY measuring box with a shipping carton, box cutter, carpenter's square, some packing tape and a ruler.